Riverhaven Marina’s service department has the tools, equipment, and technical expertise to maintain and repair virtually every make and model of outboard or stern drive motor in use today. Is your outboard or stern drive still under factory or extended warranty? No problem! 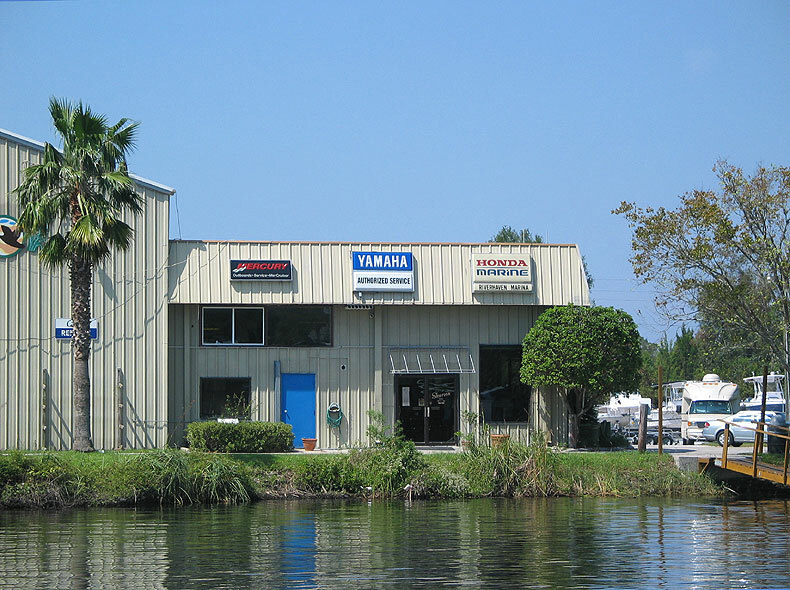 Riverhaven Marina’s service department has certified technicians who are factory authorized to do warranty repairs on Mercury, Johnson, Yamaha, and Honda outboards, in addition to Mercruiser stern drives. Riverhaven Marina’s state-of-the-art service department is equipped with the latest in electronic diagnostic equipment, specialized tools, and service manuals. Our parts department stocks a wide variety of genuine Mercury, Mercruiser, Johnson, Yamaha, and Honda parts and accessories. If we don’t have the part you need in stock, we’ll order it electronically and get it here fast.